The DogTown Blues Band is based out of West Los Angeles, and their unique blend of blues and jazz is derived from its members’ varied musical careers. Their synergy is a distilled version of the overall Southland vibe, as it seems like most everybody around here comes from somewhere else, and this melting pot is what makes L.A. such a cool place to live. 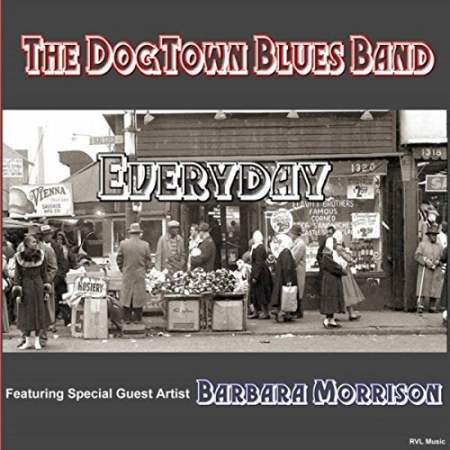 The DogTown boys have joined up in the studio with another Southern California treasure, Barbara Morrison, and recently released their self-produced sophomore album, Everyday. 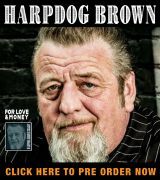 Chicago blues veteran Richard Lubovitch produced this project for the DogTown Blues Band, as well as playing the guitar and writing the five original songs. He was joined in the studio by Wayne Peet on the keyboards, harp man Bill Barrett, and Lance Lee behind the drum kit, as well a pair of bassmen: Trevor Ware (upright) Tom Lilly (electric). These fellows have more than enough experience to get the job done, having played for decades with artists such as Kenny Burrell, Edgar Winter, Rufus Thomas, Gatemouth Brown, and the Count Basie Band. Then there is Barbara Morrison, a legendary jazz and blues singer who needs no introduction. After growing up near Detroit, since the early 1970s Barbara has been working out of Los Angeles. She has sung all over the world, and the right people have noticed, earning her three Grammy nominations. As Morrison has been working in the same city as the band for many years it should be no surprise that she also knows a few of the same people, making this collaboration possible; it is really cool to have her inimitable vocals on four of these songs! Half of the songs on Everyday are heavily re-worked covers, and the set kicks off with one of them, Pine Top Sparks’ “Everyday I Have the Blues.” Barbara fronts this tune, and her voice is amazingly clear and full of character; her timing and inflections are both spot on. This song has a huge sound courtesy of the horn section of Andrew Pask (sax) and Dan Rosenboom (trumpet). Other highlights of this tune are copious amounts of barroom piano from Peet and an extended harmonica break from Barrett. Besides participating in many of the tracks in this set, Bill Barrett takes the lead on a few of the songs, including “Shrimp Walk,” a slick instrumental with a Latin feel that features leads from Bill on his diatonic harp and Lubovitch on his 6-string. This is laid over a healthy serving of funky organ from Peet. 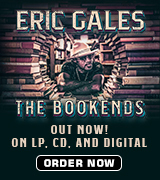 Then, on “All the Way Down,” Barrett gets down and dirty on this straight-up blues instrumental that is delivered with strong horns and plenty of space within which he can deliver his goods. Bill also steps out to provide the vocals for Doc Pomus’ “Doc’s Boogie.” After a slick intro from Richard, Barrett uses his pleasant tenor voice over a Wayne’s ballpark organ that is accompanied by an uptempo walking bass line. It is neat that the drums were left out here, which lends a vintage lounge vibe to the track. A standout track from the Richard’s originals is “Boxcar 4468,” an instrumental that features killer leads from Lubovitch, as well a nice touch of pedal steel from guest artist Marcus Watkins. This song starts as a low key burner, but after the organ starts getting more rowdy (around the 2 minute mark), things pop into high gear with a drastic tempo change with a carnival-like organ and a burning solo from Loob, before slowing down once again for the finale. Instrumentals with intelligent writing like this never get old, and surely deserve more than one listen to figure out everything that is going on. The Dogtown Blues Band’s eponymous debut album was very good, and it was going to take something very special to outdo themselves, but with a little help from Barbara Morrison they handily made this happen with Everyday. Hopefully they have a few more tricks up their sleeves and will make it back to the studio soon to make more clever music for their fans!